When I was 14 years old, I accompanied my dad to see a registered dietitian. He wanted to learn how he could manage his diabetes by improving his dietary habits. As soon as I saw the food models in the dietitian’s office—a glass of milk, green peas, and a bowl of rice—I felt a deep fascination with the connection food has to health. I left that meeting sure that I wanted to be a registered dietitian who helped people better fuel their bodies and minds with food. Stumbling upon my career was an unexpected bonus of the visit. But the meeting’s expected outcome—my dad changing his eating habits—wasn’t as successful. My father didn’t apply any of the recommendations the registered dietitian provided. I wasn’t surprised. In fact, I’d told the R.D. that would happen. She’d first offered recommendations that focused on the Eurocentric foods nutrition experts often call upon when talking about eating habits, such as steamed veggies and salads. When I told her those recommendations simply weren’t practical for the way our Muslim, Indian family ate, she referred to a sheet with South Asian food recommendations. Those weren’t right either. For instance, the carbohydrate recommendations had foods such as idli (savory rice cakes) and dosa (thin, fermented flatbread), were not foods my dad regularly ate. He was more familiar with roti and white rice with meat-based curries. Six years later, I was halfway through my nutrition undergraduate degree, learning how to provide eating guidance that resonated with clients. That earlier experience with the dietitian crystallized in my mind as an example of the common knowledge gap between nutrition and culture that exists for many registered dietitians. My website’s tagline was “Helping women live healthier and happier lives.” What I really wanted to say was “Helping Muslim women live healthier and happier lives.” But I didn’t want to seem like I was trying to be hurtful by excluding everyone else. When I looked at other registered dietitians’ websites, they were rarely so upfront about who they wanted to serve. Even without me explicitly stating where my passion lay, most of the women reaching out to me for nutrition guidance were Muslim like me. These women often shared that they wanted to work with me specifically because of that commonality. 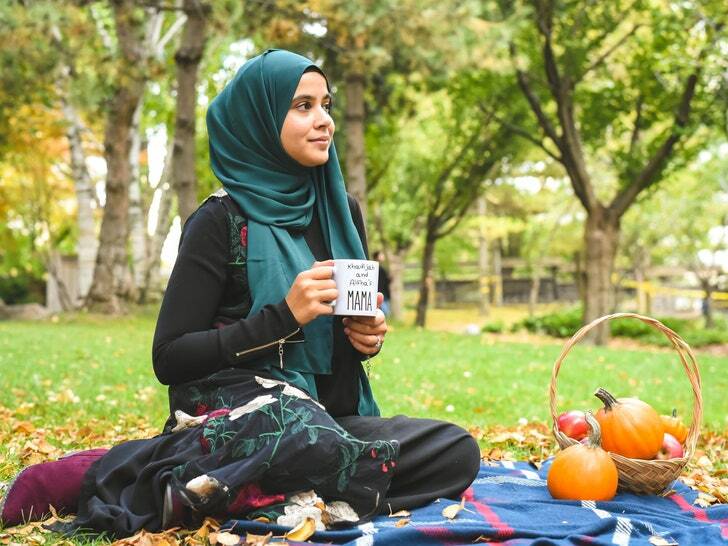 That’s how I began to realize that my presence as a visibly Muslim woman could make a significant impact in the often homogenous world of nutrition. After six months of primarily helping this specific group of women, I changed my website’s tagline to represent that this was, in fact, my true goal. Since then, I have helped hundreds of Muslim women learn how to eat in a delicious, sustainable way that fits into their cultures and lives. 1 1. I focus on how to eat healthfully without giving up your favorite foods. 2 2. I give practical advice about how to fast in a healthy way, and how to break the fast while keeping up energy. 3 3. I try to change the conversation around food and weight loss after pregnancy and childbirth in a way that is culturally sensitive. Since my ethnic background is from India, I do bring that South Asian cultural influence when developing recipes. Still, I maintain awareness that Muslims come from a variety of different cultures, so I work to strike the right balance for my clients. Asking about their culinary traditions helps me know that the guidance I’m providing makes sense. One of the things I can’t ignore in the nutrition world, especially when it comes to new moms, is the heavy focus on weight loss. While I know that weight loss can be one of the possible effects of changing how you eat, I personally don’t like to focus on it as the main goal of my nutrition services. Initially, I didn’t like even mentioning weight loss in conversations with clients. But so many women come to me with weight-loss goals, particularly after having gone through pregnancy. I started pro-actively addressing weight with my clients in an attempt to shift their focus to improving their relationships with food, making lifestyle changes that enhanced their physical and mental well-being, and helping them connect with their cultures. Most women joined the Muslimah Moms First program with weight loss as one of their main goals. Many finished with an overall improved relationship with food and a better understanding of how to feed themselves and their families in a healthier way while incorporating their cultures.